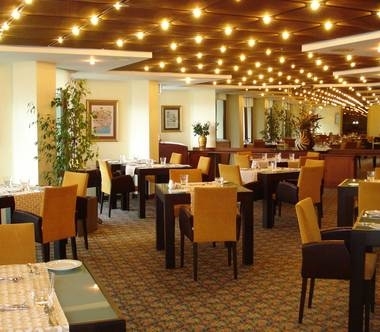 Hotel Atakoy Marina Istanbul has an excellent location in Istanbul's Bakirkoy district at the European side, in between peace and quiet of extensive parks on one side and overlooking the 1st Marina in Turkey at the other side. Ideally situated for both business and leisure travelers, the hotel is close to the seabus terminal between European and Asian side (20 minutes) and 15 minutes by shuttle bus to Atatürk International and Domestic Airport terminals. 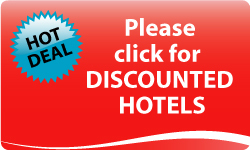 With ample car parking provided on site the hotel is a fine venue for meetings, leisure and sport groups alike. Our luxury accommodation in Istanbul offers guests a choice of 180 rooms, each with a balcony providing exquisite views of the marina, lush gardens or the sea. 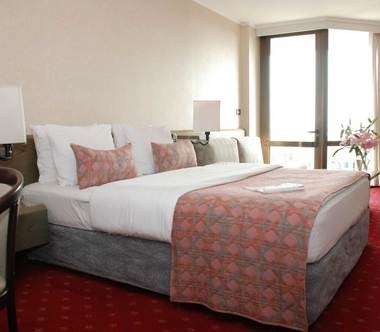 This luxury Istanbul accommodation includes 36 Suites (68 sqm), 24 Executive Rooms (30 sqm) and 120 Standard Rooms (28 sqm). Our Senior Suites include a bedroom, a living room and two private balconies. Executive Senior Suites also available. Ataköy Marina Hotel offers guests two superb dining choices with our in house CIPA Restaurant and the Ataköy Marina Yacht Club Restaurant. We also have two bars, the Anchor Bar and Lounge and the Yacht Club Bar where you can enjoy a poolside drink. 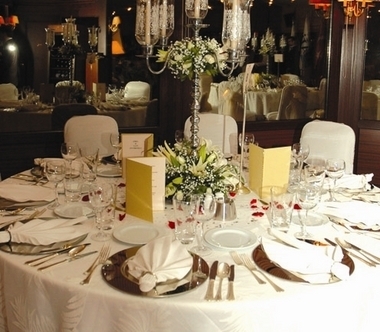 The CIPA Restaurant serves modern Turkish cuisine as well as a superb la carte menu. This Istanbul restaurant also serves an appetizing American breakfast. Guests can also enjoy the innovative menu, well chosen wine list and elegant surroundings of the Ataköy Marina Yacht Club. Light meals, snacks and a fully licensed bar can be enjoyed in the Anchor Bar/Lounge and the Yacht Club Bar. In-room private dining is available to guests with our 24 hour Room Service. 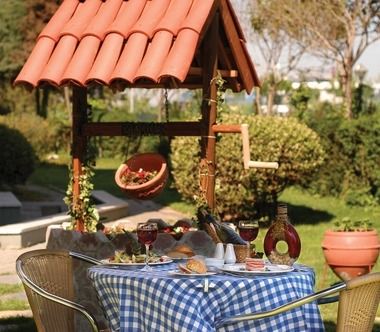 Guests can also use this service to have appetising meals on the balcony of their room. Ataköy Marina Hotel provides guests with a variety of opportunities to maintain fitness. 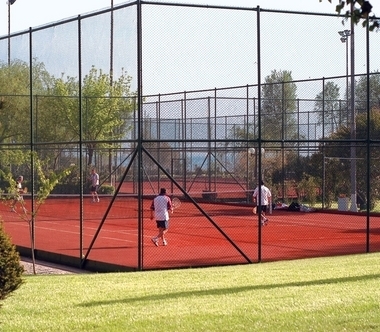 Guests at our Istanbul hotel can take advantage of our three excellent floodlit tennis courts. A jogging track in our lush gardens is also available where guests can enjoy a daily run while drinking in the spectacular views and relishing the fresh sea air. This Istanbul event hotel offers 3 well equipped meeting rooms all lit with natural daylight and enjoying lovely sea or garden views. Memorable events whether private or business can be held in our meeting rooms, poolside, in our beautiful gardens or at the nearby Marina Yacht Club. We offer guests use of our heliport, providing a convenient and luxurious way to arrive and leave the Ataköy Marina Hotel. Our well equipped children's playground ensures that the whole family will enjoy their stay at our Istanbul hotel. 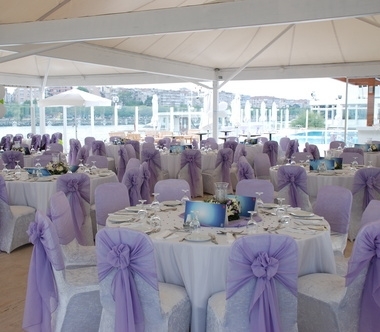 The Ataköy Marina Yacht Club is open to all hotel guests who can take full advantage of the services it offers. Both indoor and outdoor events are our speciality. 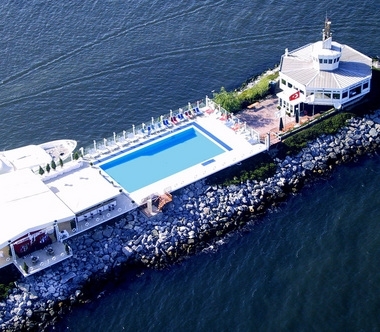 Ataköy Marina Yacht Club offers peaceful surroundings away from the hustle and bustle of the inner city but is still conveniently close to the attractions of Istanbul. Ataköy Marina has been awarded Five Golden Anchors by the International Yacht Harbour Association. Ataköy Marina offers a full range of yachting services and facilities including a yacht club, sailing school and diving school. The yacht club also has a sailing school open to all children between the ages of seven and 15. 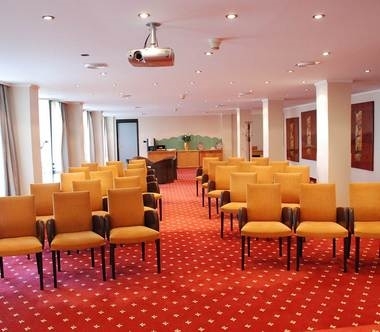 Our Istanbul business hotel provides a professional meeting venue and is ideally located for business guests to unwind and relax in their spare time. To make meeting planning easier we have a datasheet with all the details about the hotel. Click here to download it. 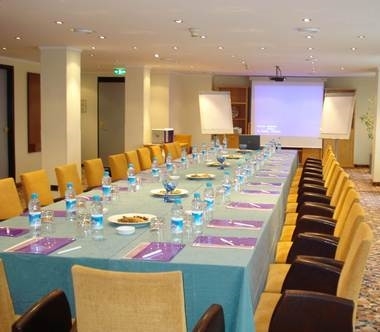 This conference hotel in Istanbul, Turkey can accommodate a variety of meeting types and sizes. 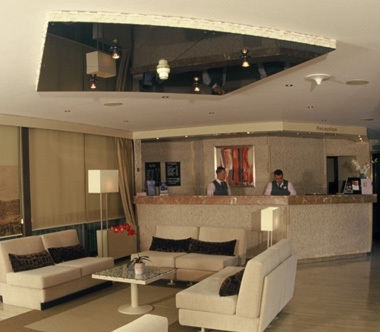 Ataköy Marina Hotel provides guests with a choice of 3 meeting spaces. The Neptune Room can accommodate up to 80 people. The Kinale Meeting room caters for meetings of up to 30 and The Amphora provides an ideal location for intimate meetings of up to 40 people. This Istanbul conference hotel is also within walking distance of the Expo center, the ITF, the CNR Exhibition center and the TUYAP. Guests are welcome to make use of our 100 parking spaces.